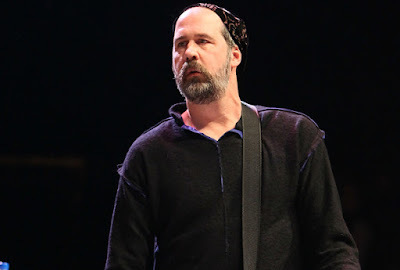 MetalRockNews: Krist Novoselic about future Nirvana reunions: "These things come up"
Krist Novoselic about future Nirvana reunions: "These things come up"
Former Nirvana bassist Krist Novoselic was recently interviewed by Rolling Stone, you can read some excerpts below. About playing with surviving members of Nirvana, he said: "It's always fun to play with Dave and Pat. We had 'Sirvana' with Paul McCartney. And then we had 'Hervana' at the Rock and Roll Hall of Fame, that was great, wasn’t it? And then Dave Grohl, Pat Smear and I did a David Bowie tribute with Beck at this Grammy party." He continued: "I never played with Beck before, so I got to hang out with him and get to know him a little bit. I've been a huge fan of his forever, ever since 'Loser'. When we got together and played, Dave and Pat and I just tipped it right up, and Beck, he's great. It all just came together." About next possible Nirvana reunions: "These things come up. It's always fun. We'll see if there's anything in the future. I don't know. I haven’t heard of anything."